Somebody wiser than me once said: The odometer on this car is like the birth year of my last girlfriend...I know it was pushed back, but I just don't know how far. Today's next car probably isn't the victim of odometer fraud, but it sure looks nice for a 25 year old Mitsubishi. 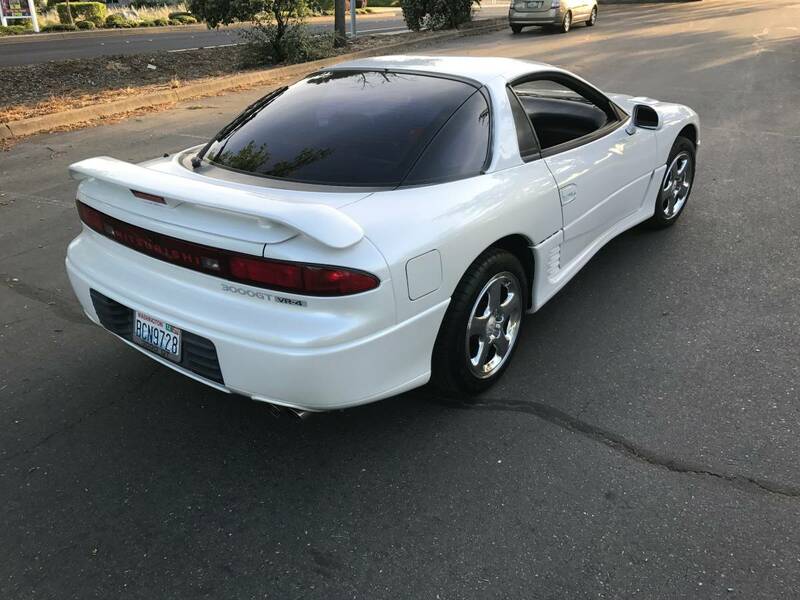 Find this 1992 Mitsubishi 3000GT VR4 offered for $9,700 in SF Bay Area, CA via craigslist. Tip from FuelTruck. 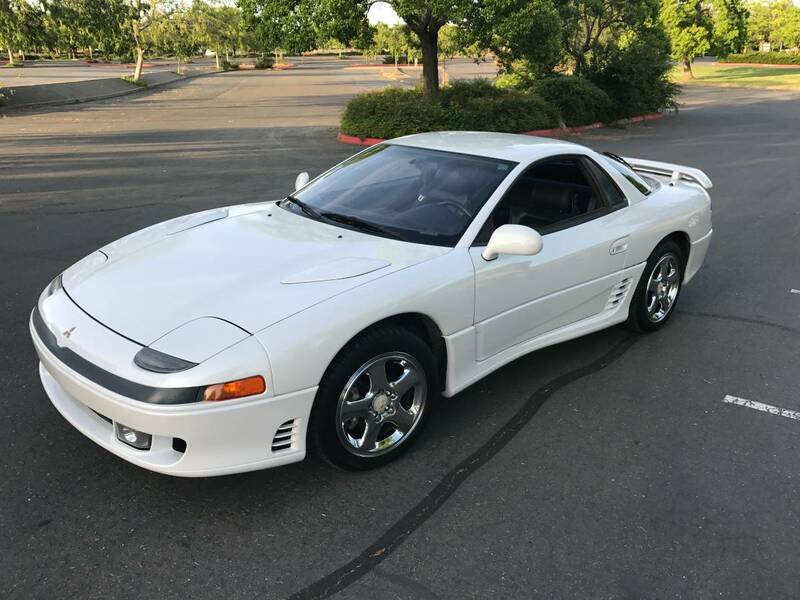 The 3000GT VR4 was Mitsubishi's entry into the Japanese sports car wars for the 1990s and it competed directly with the Nissan 300ZX, Toyota Supra and Acura NSX. The 3000GT approach was technology over simplicity and it packed on some serious heft when you added a complex all-wheel-drive system, rear-wheel steering, and some automatically adjusting aerodynamic aids. The heart of the 3000GT VR4 performance is Mitsubishi's 6G72 3.0 liter V6 engine, boosted to 300 horsepower and 306 ft-lbs of torque via twin Garrett T25 turbochargers. Every self respecting minivan has 300 horsepower these days, but back in 1992, this was a monster of an engine. Boost response is quick and available from low rpm thanks to small turbochargers, a fairly big engine and good matching from the OEM. The 5 speed manual gearbox puts power to all 4 wheels and might be a weak point if you plan on boosting up performance. Even the seats look HEAVY. I had the same gen 300zx and it was a nice car but a pig. 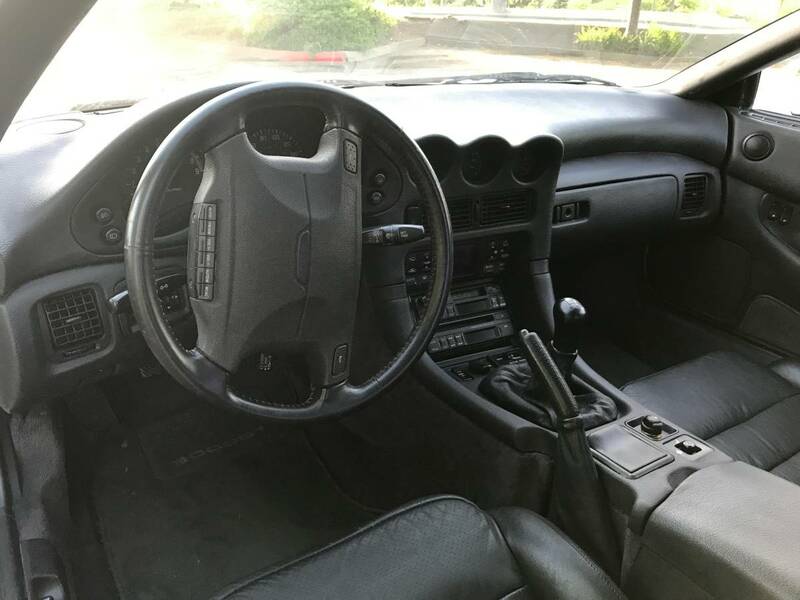 "5 speed stick shift" - Didn't these come with a 6-speed?